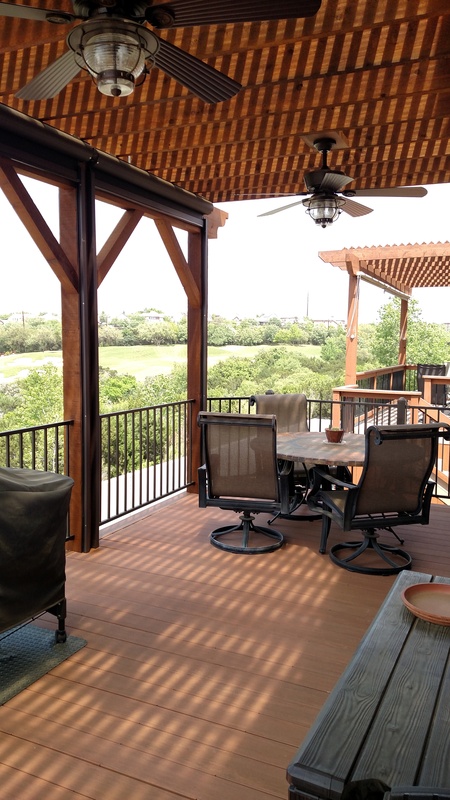 Archadeck of Austin is a master of solutions, as these Steiner Ranch, TX, homeowners learned recently. We saved money for them by redecking instead of removing their old composite deck and building a new one from scratch, and we solved their glaring sun issue as well. If you have an older deck and you aren’t familiar with redecking, you will want to look closely at this project in Steiner Ranch, TX. Redecking is an option when you want to replace the deck’s surface boards—the portion that you see and walk on—if the deck’s substructure is still sound. Because the substructure isn’t exposed to the elements, it is usually in much better condition than the surface boards. 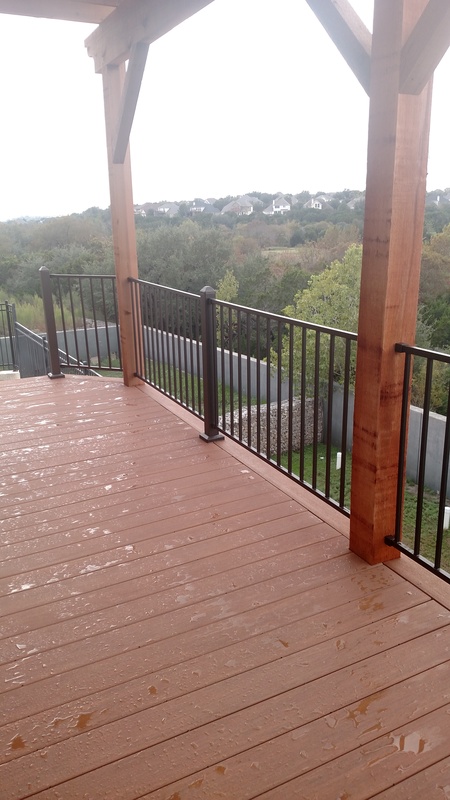 In the case of this Steiner Ranch home, the deck substructure was still in good shape, so redecking was possible. That’s always great news for a homeowner! Redecking offers significant cost savings over building an entirely new deck from scratch. When Archadeck of Austin works on a redecking project, we always have to make certain the existing substructure meets current building codes. If the applicable building codes have changed since the deck was originally built, we need to make whatever modifications are necessary to comply with today’s codes. If the original deck was wood, and the clients have chosen to redeck with a new surface of low-maintenance composite decking, we may have to add more joists to the substructure. When decking with composites, specific joist spacing requirements must be met—beyond the joist spacing requirements for a wood deck. Homeowners who opt for redecking are not always limited to keeping the size and shape of their original deck. Archadeck of Austin may be able to expand the square footage of a deck as part of a redecking project. Also, during the redecking process, you can usually make additional changes or add amenities that your original deck lacked. Examples would be adding built-in bench seating, upgrading or replacing the deck railing, adding a pergola or covered area for shade or even changing the direction and flow of the stairs. The Steiner Ranch project pictured here includes a pergola, which the previous deck did not have. These clients’ new deck surface is made of AZEK decking boards in the mahogany color. AZEK is a low-maintenance synthetic (PVC) decking product that is extremely durable. Projects built with AZEK resist mold, mildew, stains and scratches. You also don’t have to worry about material defects, splinters, or damage from termites or rot with AZEK. For their deck railing, the homeowners selected a Fortress railing in the sand black color. We built the privacy skirting under the deck with cedar, and we added a new large cedar pergola for partial shade. Because the pergola covers almost the entire deck, it also creates a protected, cozy feeling there. Did we mention the clients have an absolutely fabulous view from their deck of the nearby golf course and lush treetops for miles? The problem was, this side of their home gets absolutely blasted by the sun. 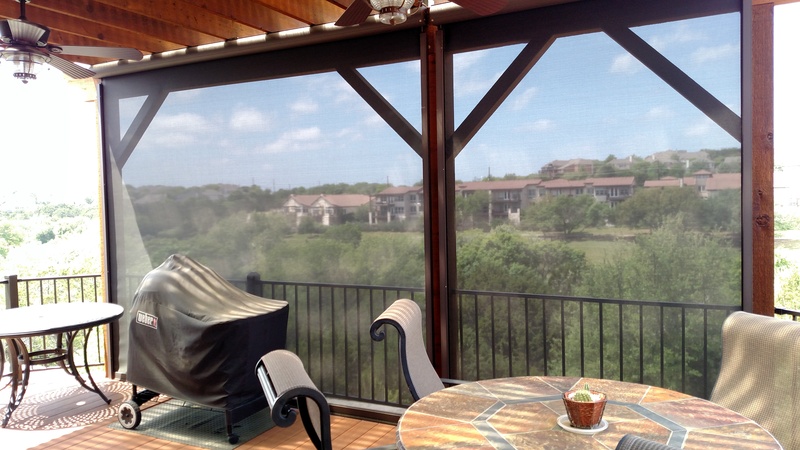 Archadeck of Austin installed a remote-controlled, solar-blocking retractable screen system. The tracks along the sides of the screen are designed to prevent the screen from blowing around on windy days. Could redecking be the cost-effective solution for you? 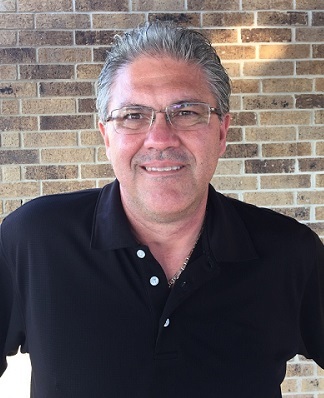 For information about redecking as well as solar-blocking retractable screen systems, contact Archadeck of Austin at (512) 259-8282 or via email at jim.odom@archadeck.net to schedule a free design consultation.